In our 25 years of providing smart home solutions, Home Controls has seen a lot of revolutionary technologies push the evolution boundaries of home automation. X10, UPB, Zigbee, EnOcean, Wi-Fi, RF, Wireless – we've seen it all. The one technology that is grabbing the industry's spotlight now is Z-Wave. More and more home automation hubs support or rely on this wireless technology, and just as many more consumers are easily creating their own custom smart homes with it. Z-Wave is not new – it's been around for more than a decade – but it's now time for it to shine. There are 300 Z-Wave product lines and more than 1,200 devices, according to the Z-Wave Alliance, and Home Controls offers several hundred of those devices. With all the hype and buzz that comes along with a collection this large, how can you find the best gadgets for your smart home? Home Controls has compiled a list of the top five trending Z-Wave devices that every smart home needs. This list, of course, is purely subjective, but we considered what our customers have been asking for, what has been trending well in social media, and what has been flying off our shelves. We can write an entire story just on GE's brand of Z-Wave devices. Their lighting and appliance controls are in high demand, especially with the release of the new LED-compatible switches and dimmers. They also work with just about every new D.I.Y. smart home hub, including Nexia, Vera, SmartThings, Iris by Lowe's and Staples Connect. The one standout GE device, however, is the GE Z-Wave Ceiling Fan Wall Switch (12730). The GE Ceiling Fan Wall Switch gives you Z-Wave remote control for your ceiling fan. Once the switch is wired in, you can turn the fan On/Off and choose from three speed levels (High, Medium, Low) from any Z-Wave remote or this local switch. 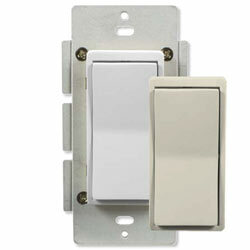 The Z-Wave Ceiling Fan Wall Switch supports single-way or multi-way applications, and works in conjunction with up to three aux/remote switches. The switch can also be included in multiple scenes/zones. Fibaro is another brand that deserves its own feature story. It's a European company that has just released its first collection of Z-Wave devices for the U.S. (with more coming). Each of these introductory products is in high demand – including the Multi Sensor, RGBW LED Bulb, and Door/Window Sensor – but the most popular among smart home fans is the Fibaro Z-Wave Flood Sensor. Perfect for monitoring areas that are prone to water leaks, such as the water heater closet or bathroom, the Fibaro Z-Wave Flood Sensor alerts you when it detects moisture. When any water is detected, the Flood Sensor provides an LED alert, sounds a built-in siren, and sends an alarm signal to your Z-Wave network. That's what you would expect from a Flood Sensor; but wait, there's more! It also features a temperature sensor and tilt sensor, so you can receive temperature and tamper alerts. The sensor is difficult to submerge, so if the monitored area floods with water, the unit floats and continues to report an alarm. The most admired trait – yes, there’s still more – is its ability to be powered by a battery or by a plug-in power supply. This means you don’t have to keep changing batteries! If you have never heard of Linear, then you must be hiding under an automated rock. Linear is the largest manufacturer of Z-Wave products, and recently added the amazingly-popular 2GIG wireless security and automation system to its Z-Wave collection. 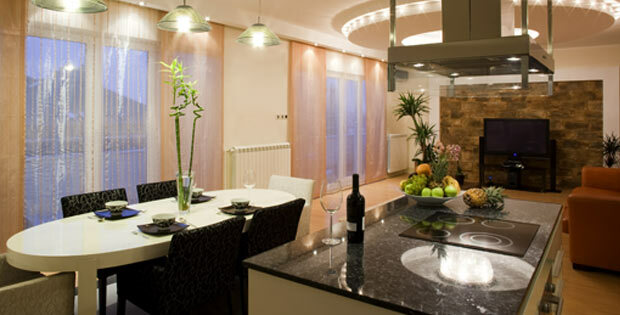 Currently, their most notable best seller is the BulbZ Z-Wave Dimmable LED Light Bulb. Compatible with most Z-Wave hubs and controllers, the LinearLinc BulbZ replaces any standard 60 Watt incandescent bulb to provide elegant soft yellow light that can be turned On/Off or Dim/Brightened from anywhere in your home! After a brief absence from the Z-Wave market, Aeon Labs has just reintroduced their oh-so-popular Aeotec Z-Wave Key Fob. We added it to our list because it’s one of the few handheld Z-Wave remotes available, and possibly the smallest. The key fob operates in two simple, distinct modes: setup and use. With only four buttons, it’s easy to operate. After you’ve added the devices you want to control, point and click to turn them on or off. It’s that easy. The new version is one of the first Z-Wave products to boast Z-Wave Plus certification (the Linear BulbZ is too, by the way). Z-Wave Plus is an upgraded certification that helps you identify products that take advantage of the “Next Gen” Z-Wave hardware platform, also know as 500 Series or Gen5 Z-Wave. Z-Wave Plus certified solutions feature a selected set of extended features and capabilities that enhance your experience with faster and easier installation and setup. Z-Wave Plus advancements also provide longer battery life, faster operation, better wireless range and improved noise immunity. Kwikset is a well-established brand in a lot of Z-Wave-enabled smart homes. These locks work with 2-GIG, Nexia, Vera, SmartThings, Iris by Lowes, Staples Connect, Wink, Zipato and more! The 914 Series Z-Wave Deadbolt is one of our top-selling Kwikset locks and almost made our list, yet we have even higher hopes for the just-launched Kwikset 916 Z-Wave Touchscreen Deadbolt. The Kwikset 916 Z-Wave Touchscreen Deadbolt combines all the features of the popular 914 Series deadbolt with a new, capacitive touchscreen keypad for a sleeker appearance and a more modern interface. Designed to allow fast code entry, the touchscreen is exceptionally responsive, detecting every touch. With just the touch of your fingertip, you can “wake up” the touchscreen, then immediately type in your entry code and listen to the door automatically unlock! The cool white LED display provides crisp LED illumination for easy use in the dark. Kwikset’s most favored feature is its ability to do more than just unlock your door. This deadbolt features a 12-button touchscreen for coded entry, of course, but also uses Z-Wave technology to communicate with other Z-Wave devices in your home. When you arrive home, punch in your code to unlock the door and automatically set up your home just the way you like it. Z-Wave also supports remote control, so you can lock/unlock your door from anywhere in the world! 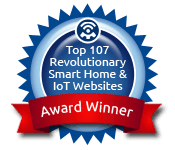 So that’s our list of the top Z-Wave devices. For now. We’ve seen more Z-Wave activity in the past year than we have the previous decade. We’re just as excited as you are to see what comes next!